Yep, that's right, only a year ago was NapNap launched. Since then, we have developed the NapNap Voucher and it is now a pretty popular baby shower gift . If you are not in the loop: give a NapNap Voucher to your pregnant friend and they can choose the cloth nappies of their choice. It will save them lots of money and because we now work with 21 retailers, they will be spoilt for choice. We have also launched The Really Eco Baby Shop so you can even add a lovely eco-friendly and ethical gift to your voucher. Until Thursday 24th June midnight, all our products, except for the NapNap Voucher are on sale. Yes, everything! 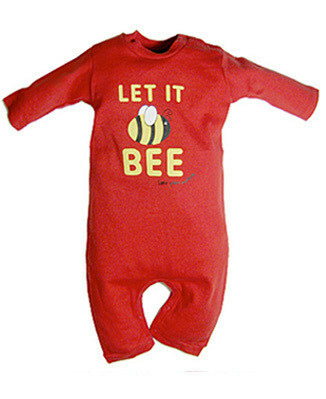 That means you can bag a Little Green Radicals's "let it bee" bodysuit at half price. That's £7.50 for a fairtrade and organic cotton bodysuit. I don't think you can find cheaper anywhere else. 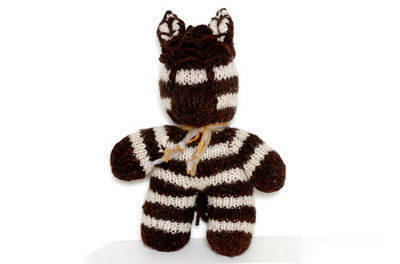 There is 20% all our kenana fairtrade knitted animals. A hand-knitted toy that will easily become a child's best friend. Choose between a giraffe, zebra, a leggy lion or a cool cow. 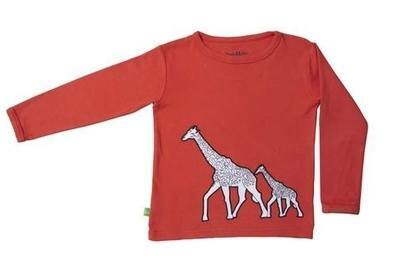 Even our latest products: Ava & Luc organic cotton T-shirts have £3 off. 3 cool designs with bold colours to choose from. Available until 4y.o: a toddler's favourite. The Baby Bathtime Hamper is one of our most original and useful gift. 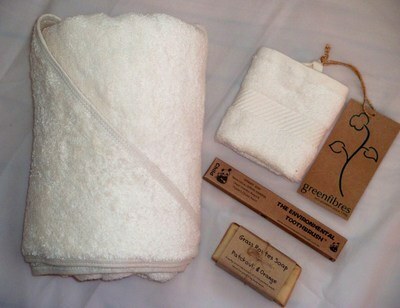 Its Green Fibres' organic towel is soft, big and absorbent and you will be proud to offer the new little one his or her first bamboo toothbrush. Grab it now for £21 (that's £5 off!). There are some other incredible offers going on. Enjoy at least 10% off and still free delivery on orders over £35 but the sale will stop on Thursday night. And for our local followers: if you live within 3 miles of Letchworth Garden City (North Herts), get your order delivered to your door free of charge. Just place your order and we will refund the delivery. There will also be more competitions going on all week to win some NapNap Vouchers and nappies, so follow us on Facebook and Twitter (@really_eco_baby).